My family loves Asian cuisine. Whenever we think of family restos, we usually end up dining from favorites that offer Chinese, Japanese, and Korean dishes. It's always a safe bet for us, even on special occasions. For families like us who are always on the lookout for good Asian food, you can now include Kiwa Korean Grill, the newest fine dining destination down south, in your list of go-to Korean restaurants. 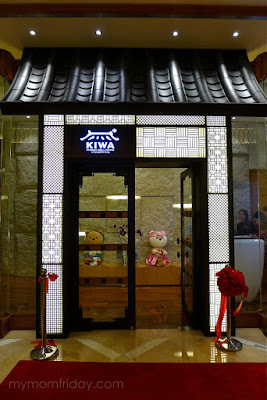 I was recently invited to a private luncheon at Kiwa Korean Grill but it was impossible for me to make it at that time. 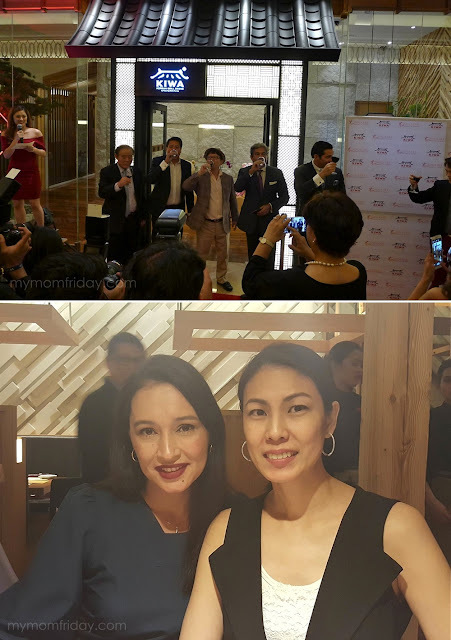 Then last week, my friend Mish (@mommanmanila) extended another invitation for me and hubby to the grand launch last February 2, this time for dinner. I've seen the drool-worthy dishes that my friends shared on their Instagram during their lunch at Kiwa, so inggit na inggit talaga ako. I really wanted to attend the dinner event, kahit malayo talaga. Good thing I was able to convice J to join me (and drive all the way to Solaire). It was also the night before his birthday, so parang salubong na rin and a chance for us to have his "birthdate", kid-free, hahaha! We arrived just as the VIPs were cutting the ribbon and officially welcomed everyone to Kiwa Korean Grill. The event was hosted by DJ-model Jinri Park, with a special performance by belter Jonalyn Viray who entertained guests that evening. As you enter the beautiful restaurant, these cute Korean bears will greet you by the foyer. The design and interiors of Kiwa is so posh and inviting. 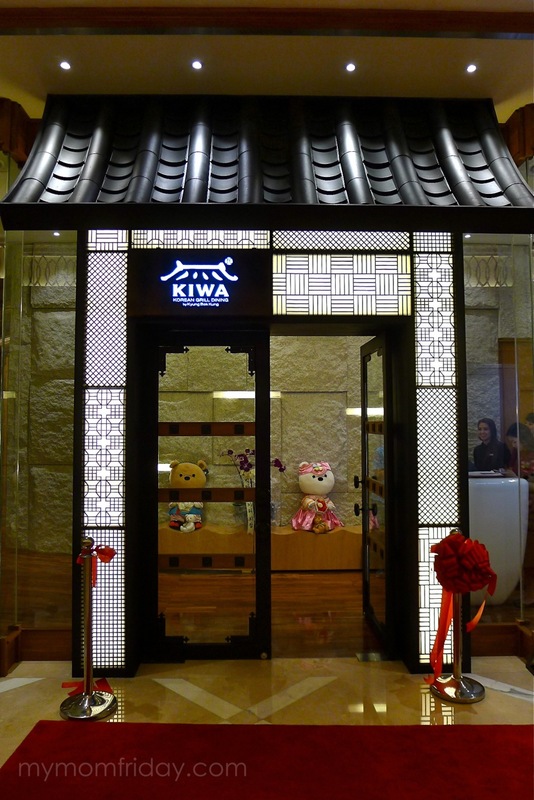 Trivia: "Kiwa" means traditional Korean roof tile used for Korean homes. As the first fine dining Korean grill resto, we can only expect first rate services and dining facility at par with the world class standards of Solaire Resort and Casino where Kiwa is located. 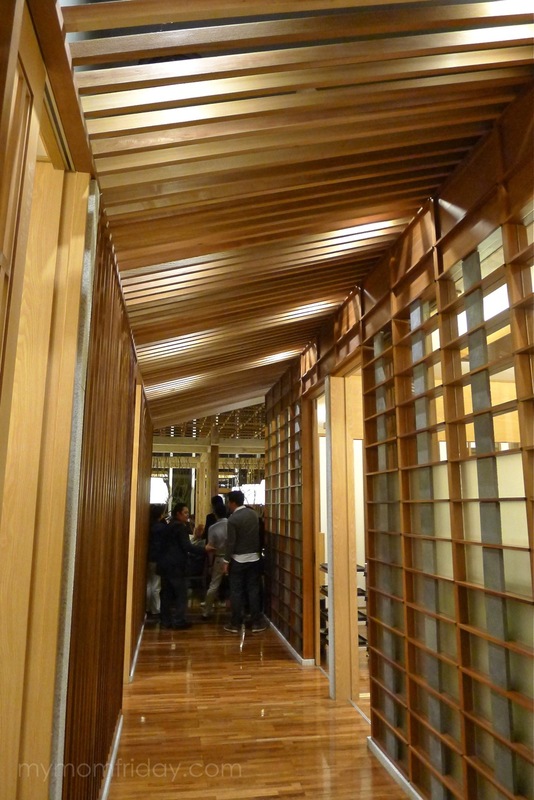 Each corner of Kiwa is photogenic, a.k.a. "Instagrammable"
There are tables for two, four, and private rooms. 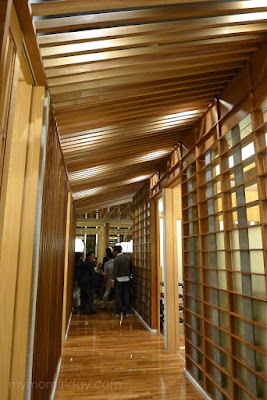 Kiwa deserves an award for best in restaurant design. So gorgeous! The restaurant can accommodate up to 184 diners and has eight private rooms -- all expandable and can seat 8 to 48. 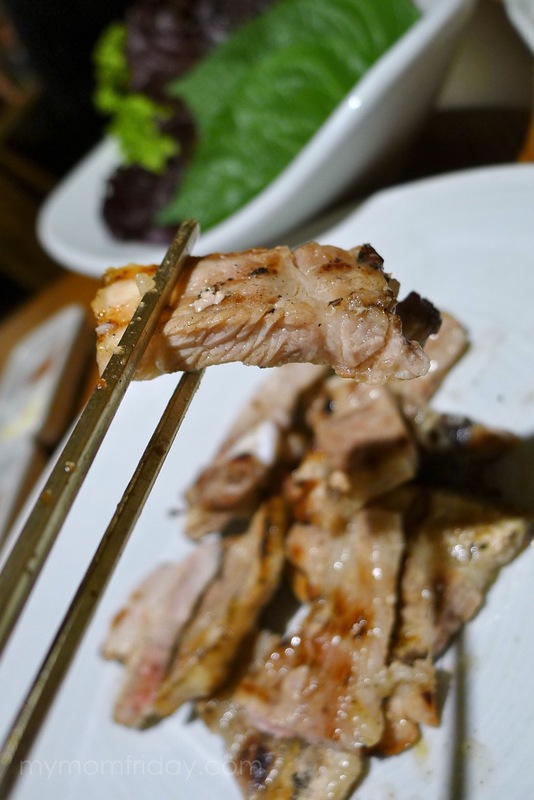 With the lean menu and a gorgeous interior design, Kiwa Korean Grill is ideal for business functions and family celebrations, even intimate dates. “Our objective is to provide the best of everything. Definitely fresh ingredients. We are using grade A+ beef, the best that is available. Unfortunately, Korean beef cannot be exported so what we serve is from Japan and the US," disclosed Chief Executive Officer, Ed Reyes. 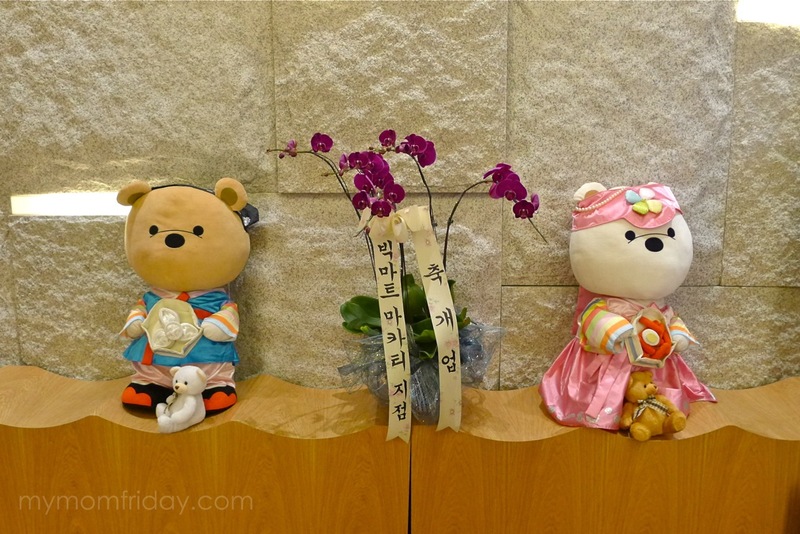 Korean chefs, headed by chef Gi Won Park, and a well-trained team of Koreans and Filipinos serve and attend to guests. During the event, all the grilling was done outside by the chefs, and we were just served at the our tables for convenience. On regular days, the grilling will be done by food attendants on the spot, that's service deluxe for Kiwa diners. Let's move on to the main event -- the food! Here's the set menu for the grand launch, including a wine list. My date and my prosecco. Cheers! Chadolbaki Salad -- we both loved this savory salad made with fresh assorted veggies topped with seasoned pan fried beef brisket (thinly sliced), with pear and yuzu sauce. Tomato Cheese Yangsangchu Salad -- first time to try a mix like this and I think it will be an acquired taste. 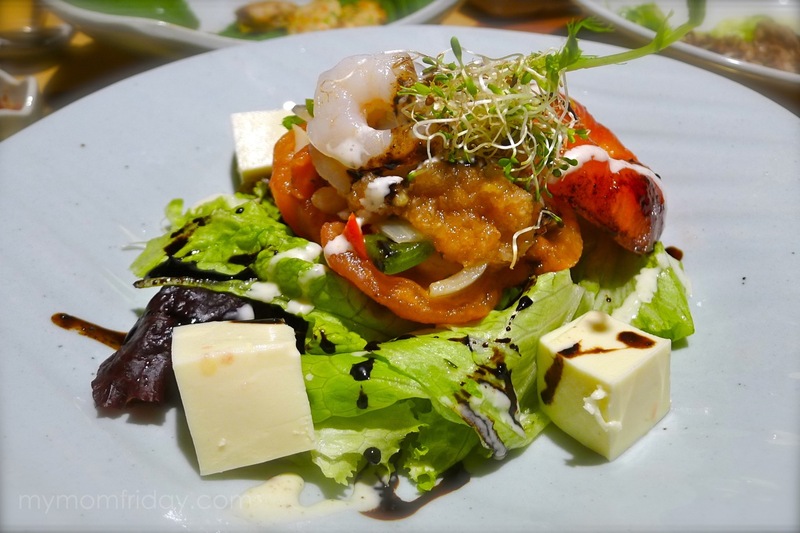 It's composed of seasoned seafood in a whole tomato salad, silky-sweet Korean cheese cubes, and a drizzle of balsamic, tomato and sesame seed sauce. The creamy cheese (which I initially thought was tofu) can definitely stand on it's own. 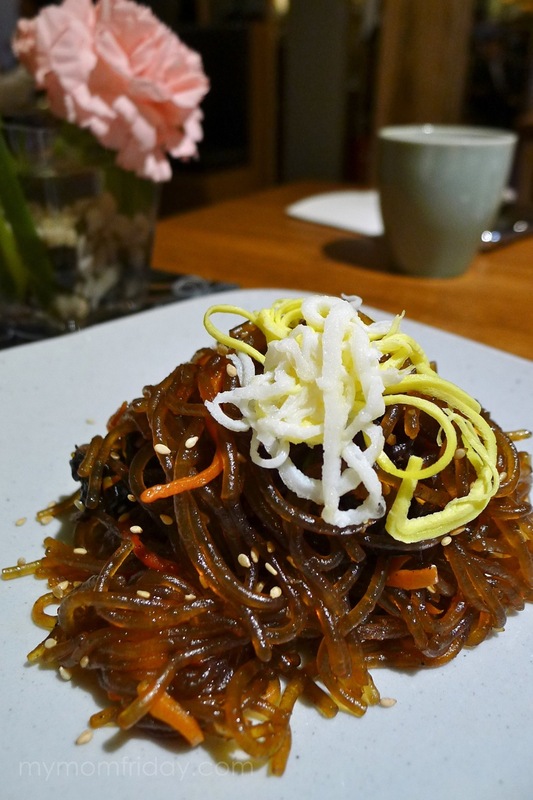 Japchae -- my all-time favorite Korean noodles that's always a winner. This pan fried glass noodles is cooked with beef and fried assorted vegetables seasoned in soy sauce and sesame oil. 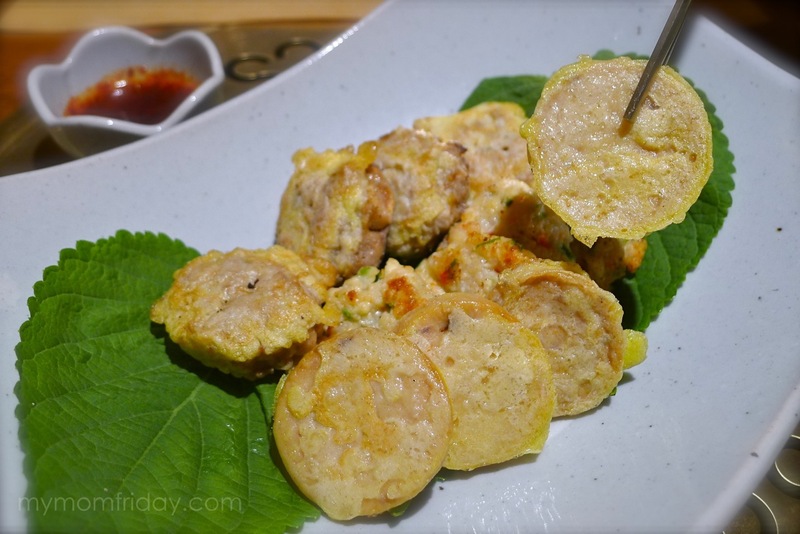 Modeum Jeon -- assorted Korean-style pancakes with Kiwa's special dipping sauce with a kick. J especially liked that tender sausage-like slices cooked in egg. 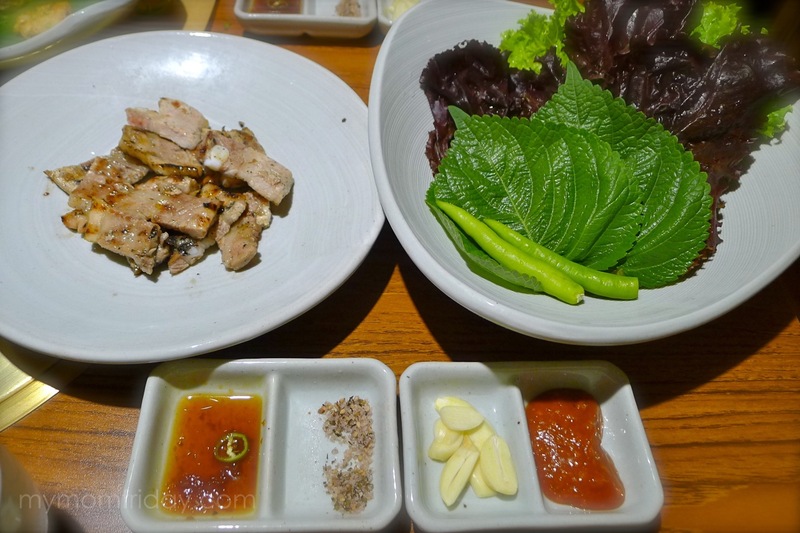 Grilled Samgyeopsal -- a classic Korean dish of grilled seasoned pork belly with assorted greens and sauces. One of the best Samgyeopsal we've had! 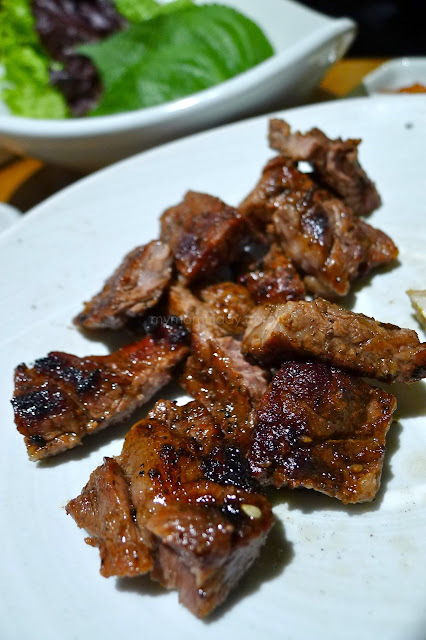 Meat slices were still juicy, very tasty and tender. We had this wrapped in lettuce and eaten with steamed rice too. The grill menu comes with sides like kimchi and chilled vegetables. 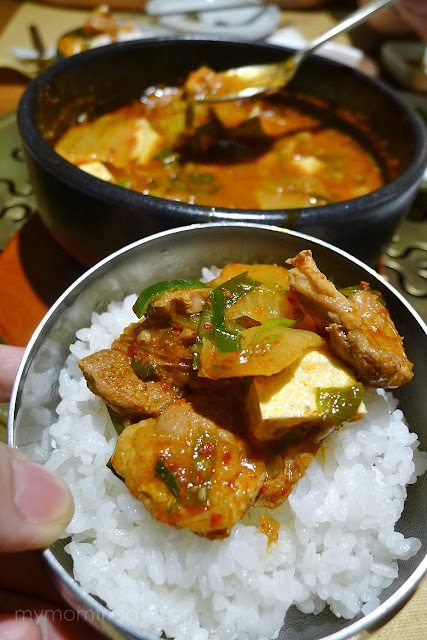 Kimchi Jjige -- a tangy-spicy stew made with traditional kimchi, tofu and pork belly. J was not fond of the flavor but I liked this one. The flavors are strong but works well together. Great as rice topping with the rich sauce. Aside from the overflowing Maesil Cha (plum tea) that I enjoyed, we also had a platter of Ddeok -- assorted Korean traditional rice cakes that are all so pretty! 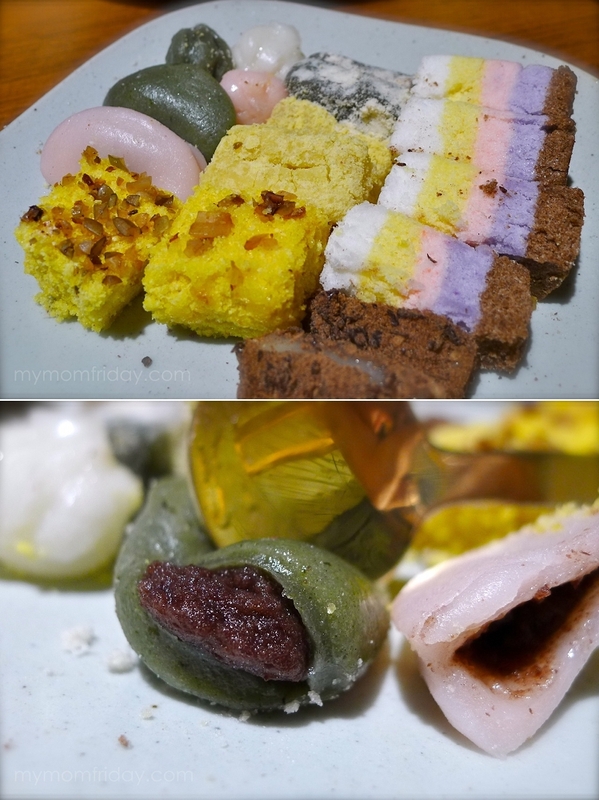 My favorite from the lot was the mochi-like sticky balls in pink and green, with sweet bean paste. A full course menu is around P3,000, composed of appetizer, sashimi and appetizer assortment, the grilled main course, pancake, stir-fried glass noodles, vegetables, rice, soybean paste stew or taster cold noodles plus dessert. Pretty reasonable for a 5-star resto in a 5-star hotel. Regular lunch sets start at P1,500 while Rice sets are from P800 up. A'la Carte grill dishes are also on offer. Serving sizes are very generous. There are plans to add affordable lunch sets in the P500-P700 range, and new menu items like as lobster tail and Japanese wagyu! Ooh-la-la! 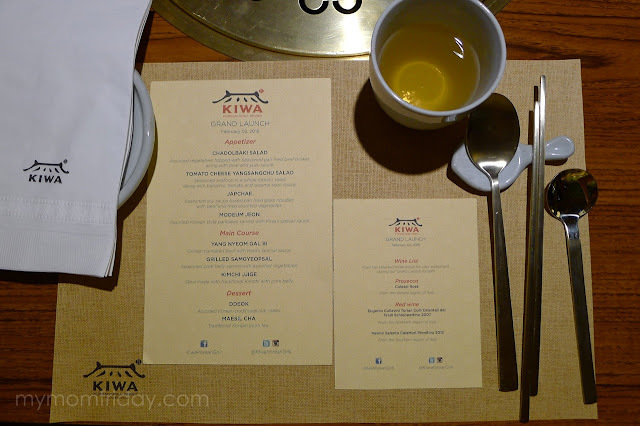 Kiwa Korean Grill delivered beyond my expectations. I love the look of the whole restaurant, and the food was really top-notch. 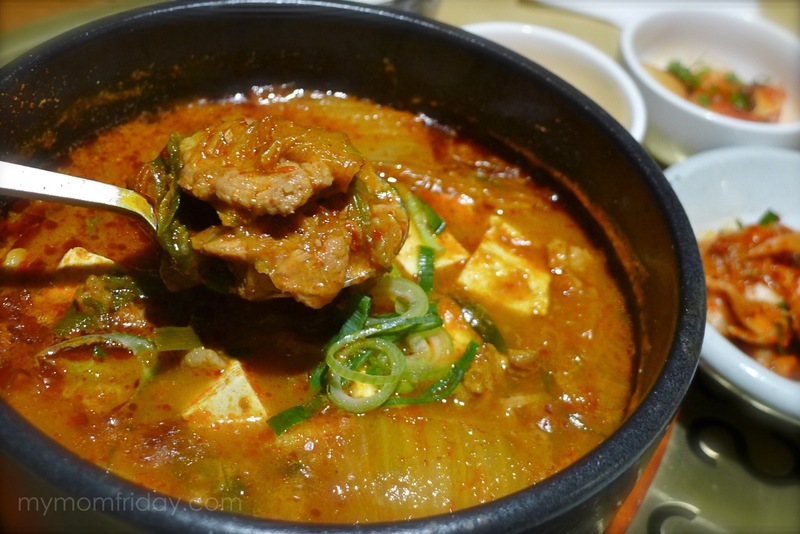 The taste of each dish is noticeably clean and refined -- all authentic Korean recipes. I noticed that most of the dishes were not salty and not sweet. 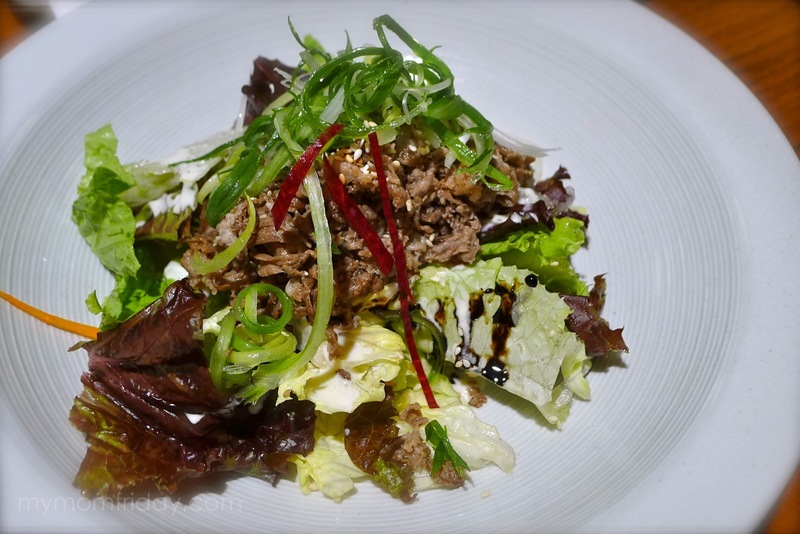 Very subdued yet flavorful, and you can taste the freshness of the ingredients. 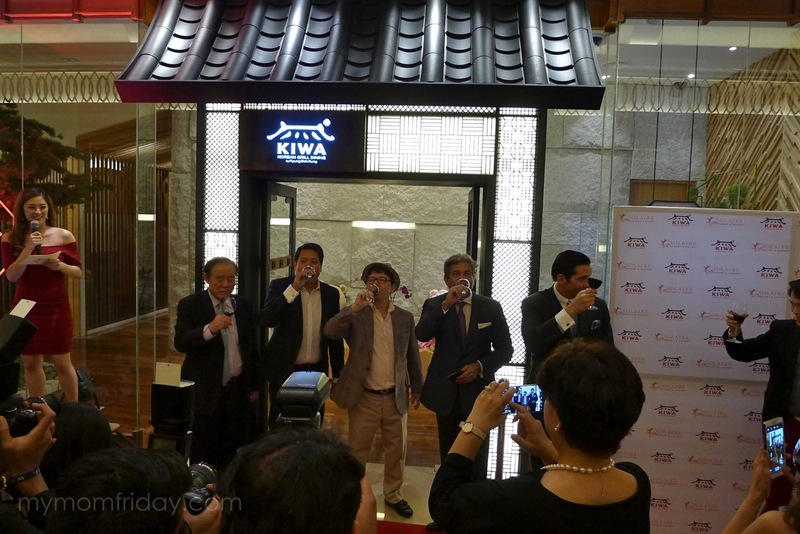 Thank you, Kiwa Korean Grill for having us during your grand launch. 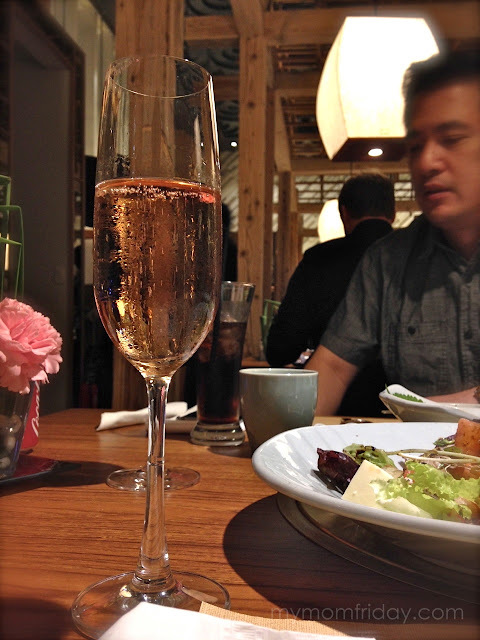 The whole experience with the warm and elegant setting and superb dishes made our trip really worth it! For updates, follow Kiwa Korean Grill on Facebook, Instagram and Twitter. Photo credits: First food shot, interiors (collage), chef Park, and restaurant facade courtesy of Kiwa Korean Grill.